Today, I have the pleasure of hosting my friend and fellow author S. Usher Evans. If you haven't met her on Twitter or FB, you totally should. She's a big indie author supporter, and she's an amazing author herself! 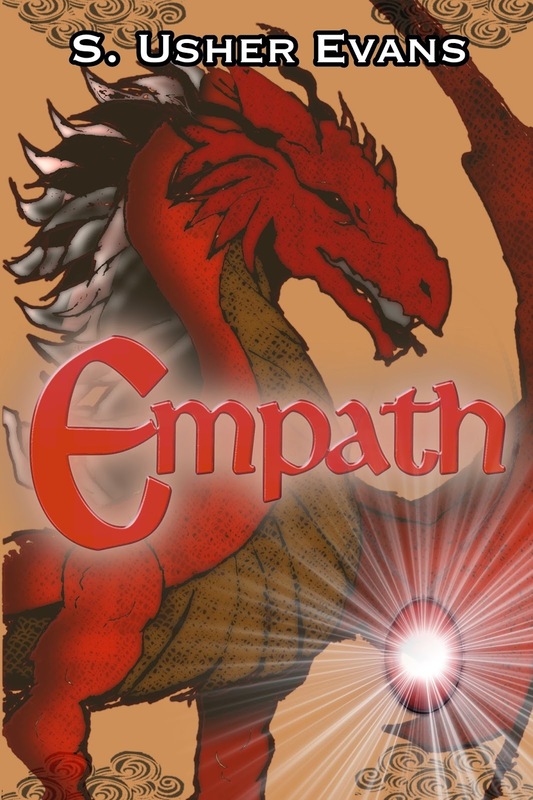 She's on the blog today to talk about her latest work...EMPATH! Lauren Dailey is in break-up hell. Stuck between moving on and letting go, she puts on a brave face while crying herself to sleep at night. But when a mysterious voice promises escape from her sadness, she is suddenly transported to a new world. And in this place, the slightest touch pulls her out of her tortured emotions into the mind of another - an empath. The villagers - sweet Aerona and her mischievous twins, wise Siors, and hunky Cefin - welcome her and the blessings her empath powers bring. But this world is not without its dangers. The Anghenfil, a fire-breathing monster, has haunted the village for decades, and has a taste for empaths. And that mysterious voice promising escape from sadness? It's sounding more like a whisper tinged with smoke and embers. "There," Cefin said, pointing to a pile of rocks that leaned against the side of the mountain. "That is where I found you." "I was under there?" Lauren breathed. It was obviously a cave-in, and the boulders were thick and heavy. If any of them had fallen in the wrong place, she would have been crushed. It was a miracle she wasn't crushed. She approached the pile and saw where Cefin must have dug her out. Seeing the size of the rocks, knowing how close she had come to not getting out, she felt a little sorry for being so angry with him. Although he was being an jerk right now, she wasn't sure she ever thanked him for saving her life. "Hey," Lauren said, tossing him a sideways glance. "Thanks for saving me." "Just hurry up," he huffed, pulling his spear off of his back. "The Anghenfil could be in any one of these caves." "The right response is 'you're welcome' " She walked up to the pile and began pushing aside any of the rocks she could, looking for anything strange. She tossed a fist-sized stone behind her and gasped. "There's a cave here!" she called to Cefin, who was standing with his spear in his hand and not helping her whatsoever. She sniffed and began tugging at a big rock, hoping that if she could move it a little bit, it would dislodge other ones, creating a larger hole, one that she could slip through. With a heave, she pushed with all of her might and it broke free, tumbling down into the blackness and taking Lauren with it. She landed in a heap in the dark, cool cave, coughing up dust and other particles. A small halo of light formed a circle on the ground, but didn't offer any other illumination in the cave. Pushing herself to her feet, she walked over to the hole and peered out, spying Cefin standing at attention. "I'm fine, thanks for asking." "Hurry up," Cefin snapped, his eyes glued to the skies. "Yeah, yeah," Lauren rolled her eyes, disappearing into the darkness. She stumbled around for a moment, feeling at the floor with her feet for anything that would give her a clue as to how she got here. Maybe she just needed to walk to the end of the cave and she'd wake up back in her own bed. She kicked the ground until she found the wall of the cave, placing her hands on the chilly stone to guide her. She kept to the wall, planting her feet firmly with every step to keep her balance. In the darkness, a gigantic red eye opened. She gasped, fear gripping her as she scrambled for the small pinhole in the distance that was the edge of the cave. "CEFIN!" she screamed, her voice echoing in the cave. The monster was moving, and Lauren saw a flash of bright fire, illuminating the black body the size of an elephant. She screamed and ran faster, hating herself for ever coming up here. She flung herself at the small hole, wriggling out as fast as she could. Cefin's spear was out, concern on his face. "Lauren, quiet down, you'll wake the "
"TOO LATE!" she screamed, pulling herself out of the cave and running past him as fast as her feet could carry her. "RUN!" S. Usher Evans is an author, blogger, and witty banter aficionado. Born in a small, suburban town in northwest Florida, she was seventeen before she realized that not all beach sand is white. From a young age, she has always been a long-winded individual, first verbally (to the chagrin of her ever-loving parents) and then eventually channeled into the many novels that dotted her Windows 98 computer in the early 2000s. After high school, she got the hell outta dodge and went to school near the nation's capital, where she somehow landed jobs at National Geographic, Discovery Channel, and the British Broadcasting Corporation, capping off her educational career with delivering the commencement address to 20,000 of her closest friends. She determined she'd goofed off long enough with that television nonsense and got a "real job" as an IT consultant. Yet she continued to write, developing 20 page standard operating procedures and then coming home to write novels about bounty hunters, teenage magic users, and other nonsense. 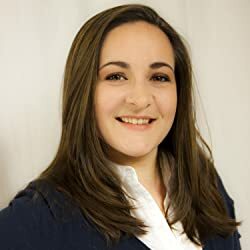 After a severe quarter life crisis at age twenty-seven, she decided to finally get a move on and share those novels with the world in hopes that she will never have to write another SOP again.